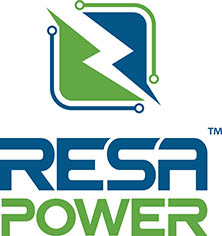 RESA Power Expands US Footprint with Acquisition of Grounded Technologies, Inc.
RESA moves into Colorado with recent deal. “The addition of Grounded Technologies to the RESA Power family is a key step towards expanding our service footprint into this dynamic and fast-growing region of the United States,” says Mark Angus, COO of the West Region of RESA Power. RESA Power, LLC, a market leader in power systems services and life extension solutions for power distribution equipment, has announced the acquisition of Grounded Technologies, Inc. (GTI) located in Parker, Colorado. Financial terms of the transaction were not disclosed. GTI has been providing NETA certified commissioning & acceptance testing and maintenance & repair services for medium to high voltage power equipment in the Denver metro area since 2001. “The addition of Grounded Technologies to the RESA Power family is a key step towards expanding our service footprint into this dynamic and fast-growing region of the United States,” says Mark Angus, COO of the West Region of RESA Power. “GTI has earned an unparalleled reputation for excellence and I am delighted to add their proven technical expertise to our team,” he said. Jody Medina, President of Grounded Technologies, Inc. said, “The GTI team prides itself on our relationship-focused approach with our customers, and we are excited to be able to offer them the expanded capabilities that come along with being part of RESA Power. Teaming up with RESA will help GTI fulfill its growth potential in our rapidly expanding marketplace,” said Medina.